Service Mat | 27" x 24" | Protect Floors & Homes During Repairs | A/C Covers Inc. The perfect mat for the smaller jobs or the hard to reach spaces, but still large enough for your toolbox and tools. 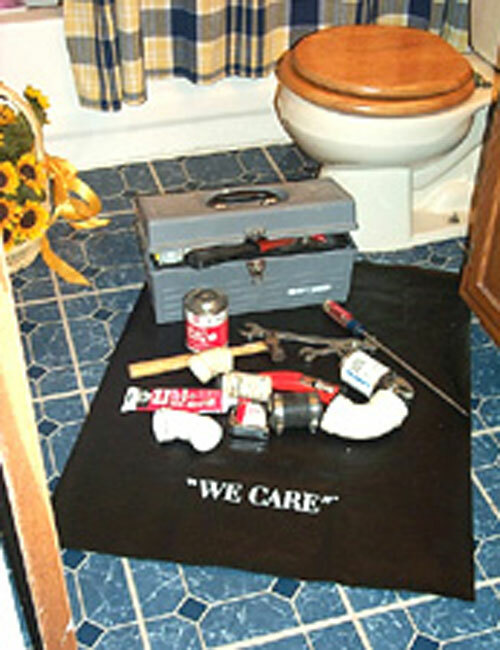 “WE CARE” service mats and hall runners are specially designed to help protect homes from the dirt, grime and damage that repairs, installations or other types of work in the home sometimes bring. “WE CARE” service mats are perfect for use on all surfaces that costly damage or soiling may occur. Use indoors to prevent damage to floors, carpets & counter tops. Use outdoors to prevent loss of tools, dropped screws/nails or tooling accessories. 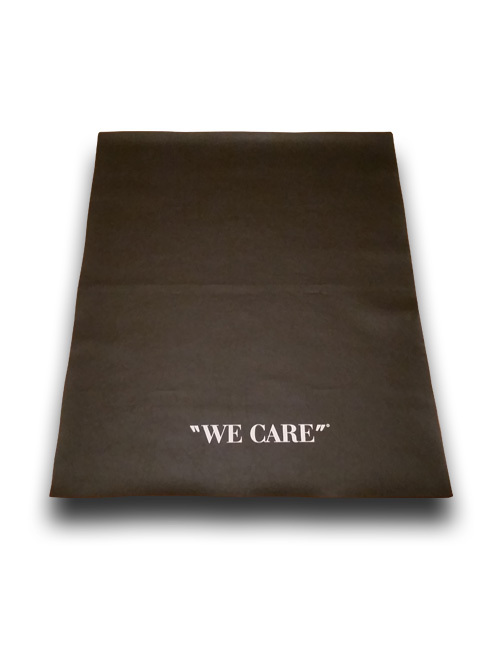 “WE CARE” products are made of heavy-duty, ultra durable industrial grade vinyl. While extremely durable, cleaning couldn’t be easier, just a quick wipe and it’s ready for the next tough job. All items must be returned within 30 days from the date of purchase and returned in clean, salable condition. Special order items are not refundable. Items returned in an unsatisfactory condition may be subject to a restocking fee. Refunds are for the cost of the product only - shipping and handling is not refundable. Please call us or send an email to coverlady@accovers.com for further questions.